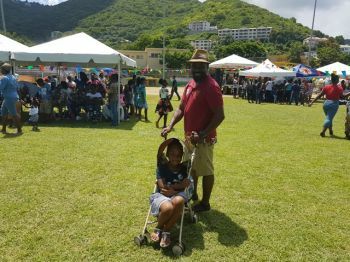 The event which is put on by the Rotary Club of Road Town is in its 24th year and was held on July 29, 2017 at the E. Walwyn Brewley Soft Ball Field. The Minister, who holds the portfolio for culture, commended the role the Rotary and its various arms played in molding youths of the Territory. "I am particularly pleased to see the role rotary is playing in helping us to develop good citizens in the country because certainly we want to ensure that the young people among us understand that with the privileges that they get as being citizens of this country there are also responsibilities, as well as, to ensure that they give back to the country and Rotary is a very good vehicle for this to happen." 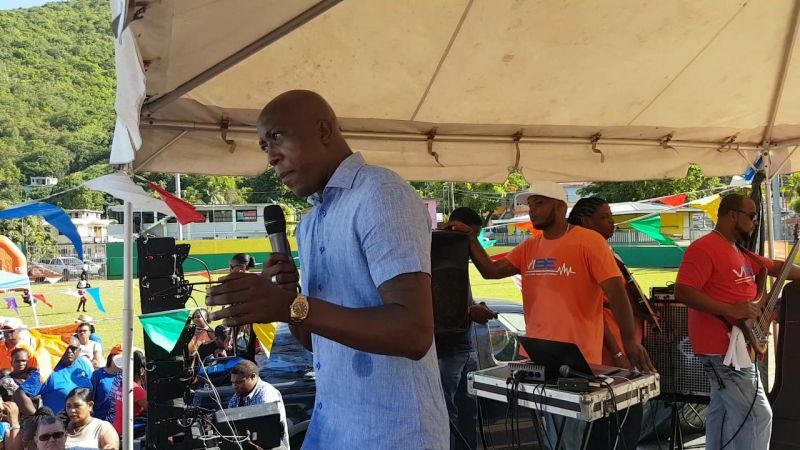 According to the Minister, there has been thrust put on the education system of the Territory as part of a move to develop a sense of national pride. This has resulted in the a programme which sees Grade 6 Six students having to do 30 hours of community service before they can advance to secondary school while 11th and 12th graders must complete 120 hours before they can graduate from high school. "I have been able to speak with the Rotaract Club and they have given a commitment to work very closely with the night school to help the students to work on meaningful projects to get the 120 hours that they require." 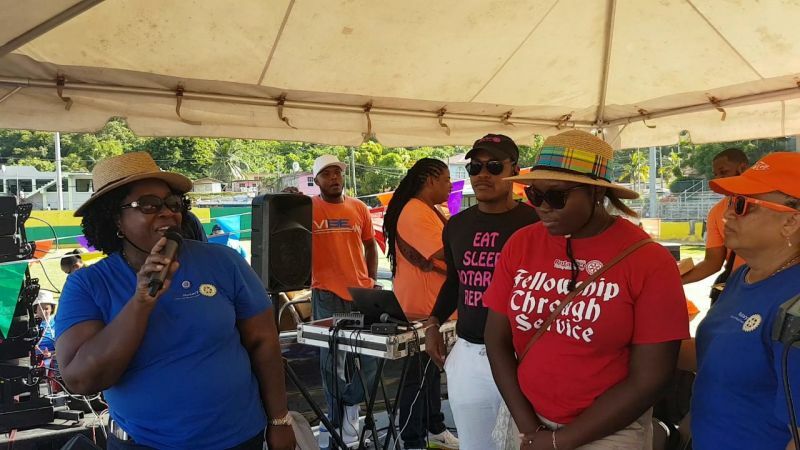 The Rotaract Club joined forces this year with Rotary in ensuring the success of the 2017 edition of the Kiddies Fiesta. They were visible assisting with the distribution of the 300 backpacks that were gifted to the children who attended the event yesterday. They were also a big part of manning and assisting at the food, drinks and ticket booths. We the people thank god for governor duncan! There are so many members from our community who find nothing good to do or say. Everything always has to be negative about every situation. No wonder our community is slowly going to the dogs! People, stop you are eroding your minds and bodies with your negative energy. Rotary does so much good for our community and still you can't come on here and be positive? No wonder there are so many miserable people around only wishing bad on everything. So we must allow the NDP to win the battle but lost the war in their fight against our good governance? Hon. Walwyn, are you serious? The stuff in the backpacks cannot be used in schools!!! The notebooks are not copy books, and they're flimsy paper that tear easily. Be grateful! Concentrate on doing things to help yourself. Stop being negative about everything. he'll just whimper into a corner. He also wet his shirt to? Is that his shirt, or UPs shirt!? Thank you to Governor John Duncan for showing BVI strength and resolve, and protecting our public purse and system of government. There is no abysmal low to which he can fall in his power grab & hold.